When combined with video, you have the whole package. Create interest with a compelling video and then motivate the viewer to engage in your call to action. This might be filling out a lead generation form or perhaps answering a question about their satisfaction with your latest product or service. Feedback and customer interaction are key to improving your business while building and maintaining brand loyalty. You must of course make sure that all your forms, polls and surveys are easy-to-use. If the consumer needs to work to get you what you want, your ROI will take a nose dive. 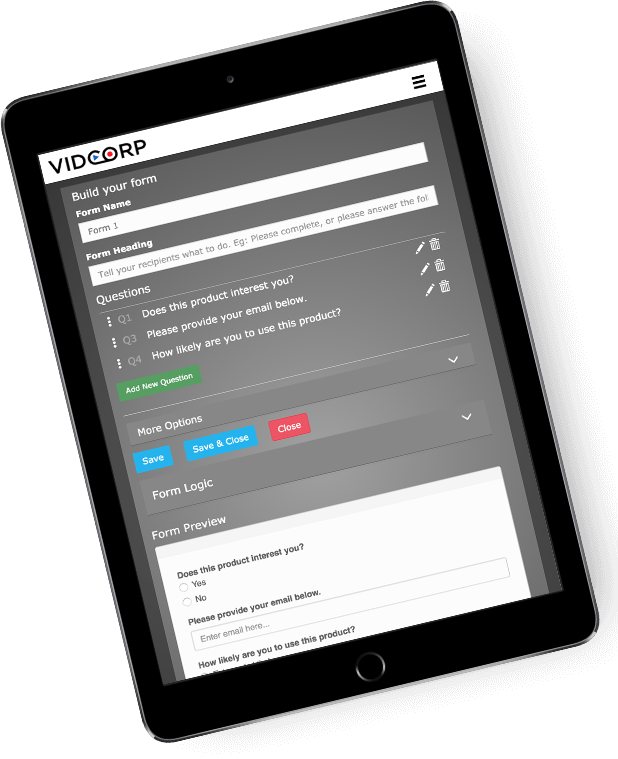 Keep in touch with your customers with VidCorp’s simple online form builder and take your customer actions and engagement to new levels. Our easy-to-use video solution makes it simple for you to create surveys and lead generation forms. Here are some of the top reasons our clients prefer the VidCorp platform. You can add and delete ‘forms’ with the click of a button. We offer several highly flexible options with the ability to create them as long or as interactive as you need. Select how you would like your customer to answer your engagement and conversion survey. 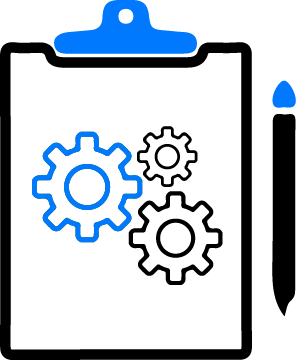 Our most popular options include check boxes, multiple answer choices, free writing, restricted writing for competitions and email inputs. Our platform provides you with the flexibility to create both optional and required questions. Our online form builder also ensures emails are valid, text is a certain length and can even restrict answers to not allow certain words to be present. 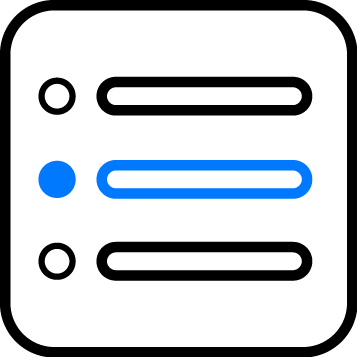 Our online form builder allows you to create interactive forms with questions which only show up once certain options have been clicked and several other interactive branching options. Using engagement tools such as surveys is an unobtrusive way to gain customer and staff information. Providing flexibility for them to choose what and how to answer increases customer relationships and connections. Data collection services allow you to know who has interacted with your surveys. This means that you can also easily resend online surveys to those who have not yet filled them out. Customised online form builder surveys provide an inexpensive way to gain bulk information regarding your target survey group. Additionally, consumers are typically more truthful when they are not speaking directly to you. 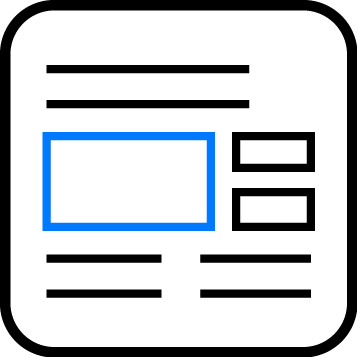 Using several mediums (video, polls, lead gen forms) distributed through mobile channels such as SMS, email and QR Codes helps connect and educate the consumer. Surveys and questionnaires are key tools for ensuring the improvement of a company, allowing for promotional campaigns, and inexpensive ways to simply gain data. Using the right platform and online form builder allows for easy customisation and increased engagement.